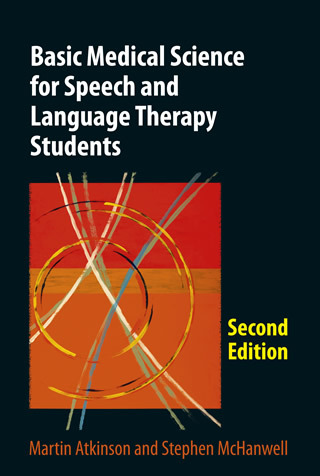 Basic Medical Science for Speech and Language Therapy Students, 2nd edition, covers anatomy, physiology and neuroscience relevant to the practice of speech and language therapy in sufficient detail to equip students with an understanding of the relevance of basic medical sciences to the clinical components of their course and continuing professional development. It is the only book published in the UK that specifically targets basic medical science for the study and practice of speech and language therapy and is unique in its breadth of coverage. An overview of the major body systems is followed by more detailed descriptions of the structure and function of the nervous system, respiratory system, the phonatory and articulatory apparatus and the ear and hearing. Their role in normal and abnormal speech and language is illustrated by clinical examples likely to be met in practice. The book has also proved a useful source of reference for experienced practitioners who wish to refresh or extend their knowledge of those medical sciences relevant to their specialities or as a prelude to undertaking in-service study courses. With full colour illustrations, clinical case studies and 'look-up' tables, this completely revised textbook will be an essential resource for students and practitioners alike. Martin Atkinson has received several awards for his teaching, including a Sheffield University Senate Award in Learning and Teaching (2005) and nominations from the dental student body at Sheffield University for the Dental Defence Union (DDU) Dental Teacher of the Year 2002, 2006, 2007, and 2010. Stephen McHanwell is a national Teaching Fellow (2007) and was nominated by the dental students in Newcastle University for the DDU Dental Teacher of the Year in 2008. *We deliver worldwide. The drop down below shows the book price plus P&P. * To avoid delays in sending your purchase please ensure you select the correct postage area. Click here to download a pdf of extra material. Click here to view video material for chapter 16. Publishers for academics, researchers and clinicians in Human Communication Science. © J&R Press Ltd. All rights reserved.